Attention Musicians and Writers: NYC Open Mic July 28! 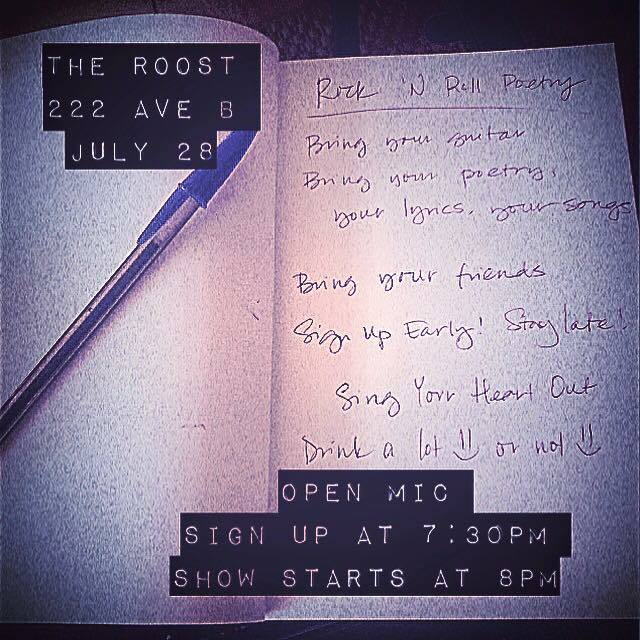 I’m cohosting a music/reading open mic on July 28 at The Roost in New York’s East Village. If you’re in the area, please come join us — to play, read, or listen! Sign-up starts at 7:30 p.m., show starts at 8 p.m. Luxurious 20-minute slots! It will be fun. Sounds great! Thanks for letting us know. Is it a sign up on site that day at 7:30 or so you have to register in advance?